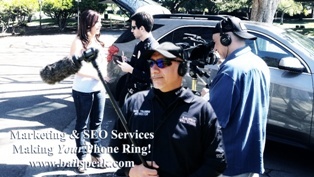 · Any criminal charges pending at the time you submit your application. In the event you have one or more offenses to report, please make sure you disclose all convictions regardless of how long ago they occurred, or whether or not a conviction has been dismissed under California Penal Code Section 1203.4 or a similar statute. The failure to disclose charges/convictions will cause substantial delays in the processing of your application and may result in denial of your license application. Failure to disclose all convictions is falsification of the application which was signed under penalty of perjury and is grounds for denial. Keep in mind that due to the severity and nature of the criminal history in some instances, the license application can still be denied irregardless of how well the applicant follows instructions in the application process in completing the background questions. 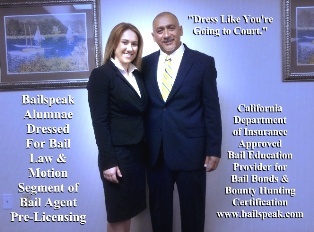 Authorizing Act: Section 1802 of the California Insurance Code reads, in part: A bail agent is a person permitted to solicit, negotiate, and effect undertakings of bail on behalf of any surety insurer. · Pre-licensing Experience/Education: Require a minimum of 20 hours of approved pre-licensing classroom study in subjects pertinent to the duties and responsibilities of a bail licensee, including, but not limited to, all laws and regulations related thereto, rights of the accused, and ethics. Continuing Education: Require annually a minimum of 6 hours of approved continuing bail education classroom study prior to the renewal of his or her license. · Application: Application for Bail License, form LIC 431-1. · Bond: A Bond of Bail Agent, form LIC 437-9, in the penal sum of $1,000 executed by a California admitted surety, and signed by the principal. · Action Notice of Appointment: A Bail Agent Action Notice, form LIC 437-23, executed by a surety insurer or its authorized representative. · Forms Filing List: A copy of the forms or documents which the bail agent intends to use regularly or frequently in connection with bail transactions. · Action Notice Statement of Employing Bail Agent Or Permittee: Form LIC 438, is required when employing or terminating the employment of another bail agent or permittee. Fingerprint impressions are required for all unlicensed bail applicants. First Time Applicants - two year term: $566.00 per surety company. This fee does not include the examination fee. Examination: Applicants must pass the examination prepared and administered by the Department. 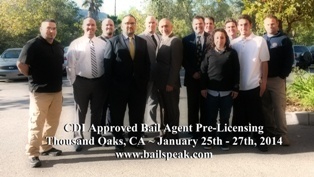 Examination is based on information and materials covered during the 20 hour prelicensing course available via www.bailspeak.com and its licensed bail agent instructor. Application: Application for Bail License, form LIC 431-2. Bond: A Bond of Bail Agent, form LIC 437-9, in the penal sum of $1,000 executed by a California admitted surety, and signed by the principal. Action Notice of Appointment: A Bail Agent Action Notice, form LIC 437-23, executed by a surety insurer or its authorized representative. Forms Filing List: A copy of the forms or documents which the corporation intends to use regularly or frequently in connection with bail transactions. Action Notice Statement of Employing Bail Agent or Permittee: form LIC 438, is required when employing or terminating the employment of a natural person to act as a bail agent for the corporation. · License filing - two year term: $566.00 per surety company (two year term). · Renewal - two year term: $170.00 per surety company. · Pursuant to Section 1807.7. of the California Insurance Code, licenses are issued for two year terms. Note: Bail Agent Individual and Business Entity insurance producers must submit their renewal filings to CDI electronically. The California Department of Insurance (CDI) discontinued mailing renewal notices to individuals and business entities licensed through CDI's Producer Licensing Bureau. CDI now emails licensees a renewal notification to their email address on record. The email notification includes the license number, license term, license type, and information regarding any continuing education requirements. You can update your e-mail address using CDI's Online Address Change service. Individuals and business entities who do not receive the email notification must still renew their license online by following the prompts on CDI's Online Renewal Service at the following website link: Free Application Online Renewal Service (FLRS). Licenses may be issued to corporations to act as bail agents. Each officer, director, stockholder, and employee must hold an individual bail agent license. Any change in stockholders for the corporation shall require the prior approval of the department. Changes in stockholders, officers or directors may be submitted on form LIC 437-25. · Bail licenses are issued for two year terms. · A Bail Identification card will be issued for all individual licensees. · An individual Bail agent's and a permittee's license may be applied for at the same time, on the same application. Only a permittee's bond is required. · If a currently licensed bail permittee is now applying for an agent's license, the permittee's bond on file will cover both licenses. · If a bail solicitor applicant is to work for two or more bail licensees who are members of a partnership, a separate Action Notice Statement from each employer and an additional filing fee for each is required. Note: A corporation may not employ a bail solicitor or permittee. To obtain Bail licensing information, you may phone the Producer Licensing Bureau Bail unit at (916) 492-3035. 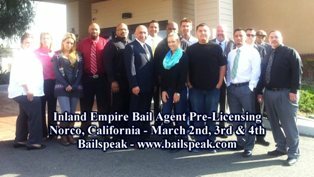 Advanced Bail Pre-licensing Studies including Exclusive coverage of how to Move a Court on a Bail Bond Motion as an Agent for a Bail Surety. 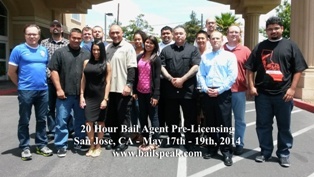 Traveling the Country to Provide its Brand of Bail Education Training that is in High Demand Nationally! 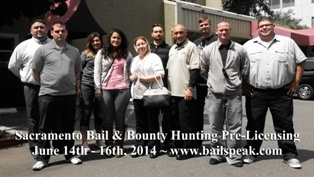 Click on the above Los Angeles Bail School Photo to see a Video wherein how to legally bounty hunt is amazingly covered. 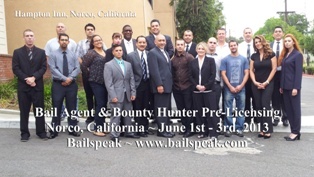 This will interest you if you yourself are hiring new bail agents or thinking of hiring bounty hunters regarding your forfeiture liability management concerns. 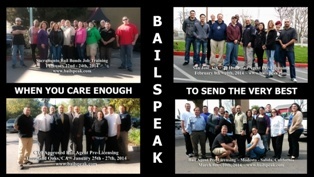 What are Bailspeak Alumni writing about its Exclusive Brand of Bail Education Training? 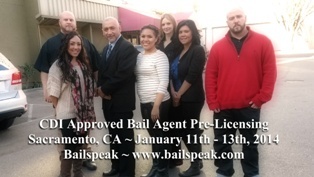 Bailspeak was Approved by the California Department of Insurance in 2007, and its first live bail agent pre-licensing class began on March 7, 2008. 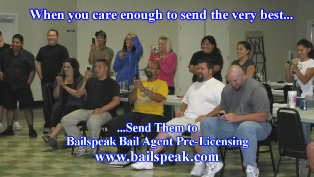 Thus begins Bailspeak’s seventh year in California Bail Education. Money comes and goes, but, as successful small business owners come to learn through the hard teachings of surviving in the brutal Free Market, good people who take pride in representing their businesses are often very difficult to discover; nonetheless, those small business owners and larger employers have taken action to bring aboard the best people in the job market and have, in growing numbers, entrusted Bailspeak with their new employee’s bail agent pre-licensing education.